C. elegans art by Ahna Skop and Tri Nguyen. Stay tuned for a #Worm17 Art Show recap. 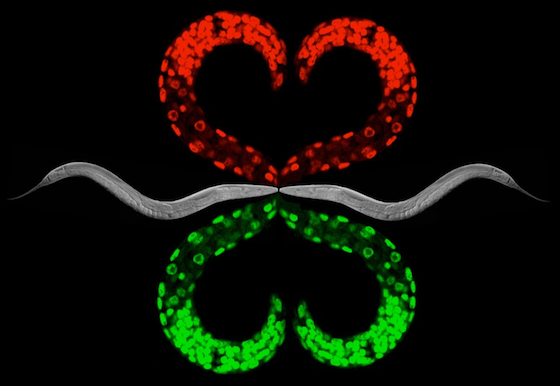 Every two years, the GSA is proud to support the C. elegans research community as they come together to share their science and their infectious enthusiasm. Last week, the 21st International C. elegans Conference enjoyed beautiful Los Angeles weather and an abundance of cutting-edge biology. For those missing their worm friends already, and for those who couldn’t make it to UCLA, enjoy these #Worm17 photos from Twitter!